The discussion is being revived once again as to whether fashion week is relevant anymore, and this week's analysis by Vox put fashion week's identity crisis this way, "Fashion week is dying because it has zero relevance to the way modern shoppers buy stuff." It's true that fashion has often sported a cavalier attitude of being out of touch: whether that was the price point, producing garments that are unwearable by the 99%, or parading models with whom none of us could identify. For the headline fashion weeks in New York, Paris, Milan, and London, it seems that, indeed, interest in fashion week is waning, but there is a ray of hope in Copenhagen. And we think there are a few reasons it's gaining traction as an international star in the busy fashion months. From the start, Copenhagen has to make the most of what they've got to work with. 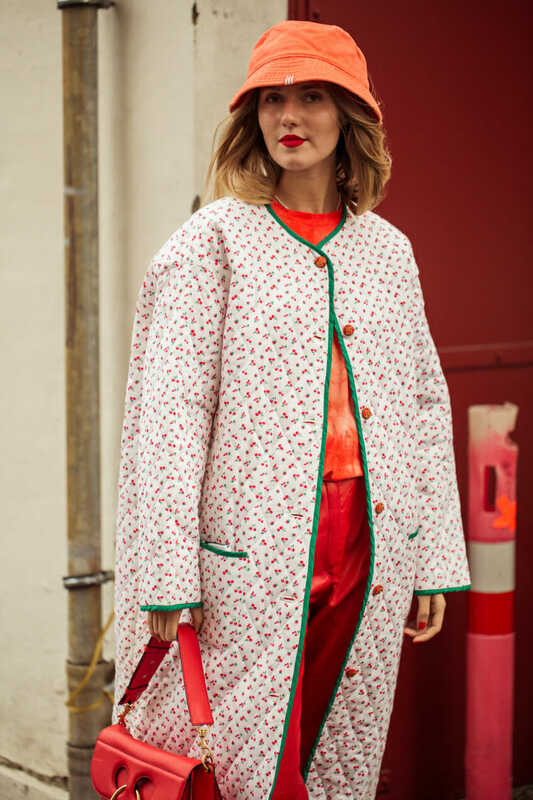 Their fashion week gets squeezed in between Paris Haute Couture and New York's womenswear schedule, and being that it's a smaller market and city, there's a compact list of designers who show there. What's more, it has had to compete with Stockholm who has been historically considered the capital of Scandinavian fashion. But for designers in Copenhagen, they see their difference as such, "Stockholm is good at clean and structured lines, but Denmark is more romantic and wild." 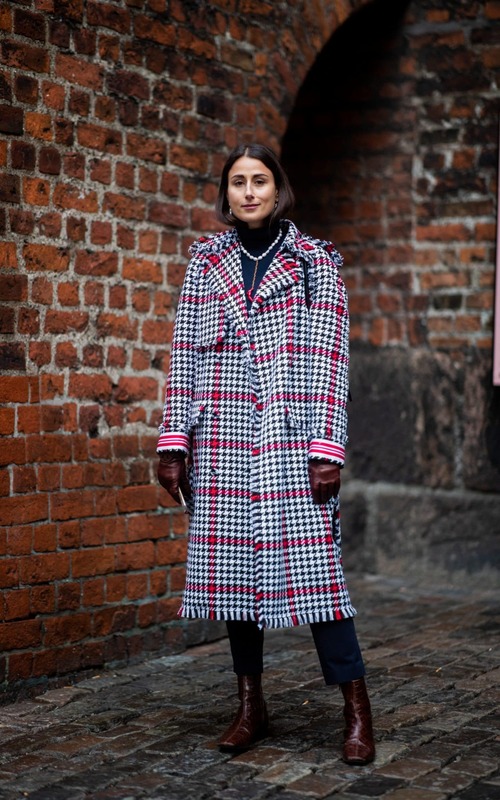 It's true that you see a practical sensibility and wearability to much of the fashion from Copenhagen, but it also colors outside the lines with which practical and androgynous Scandi fashion is oftentimes associated. 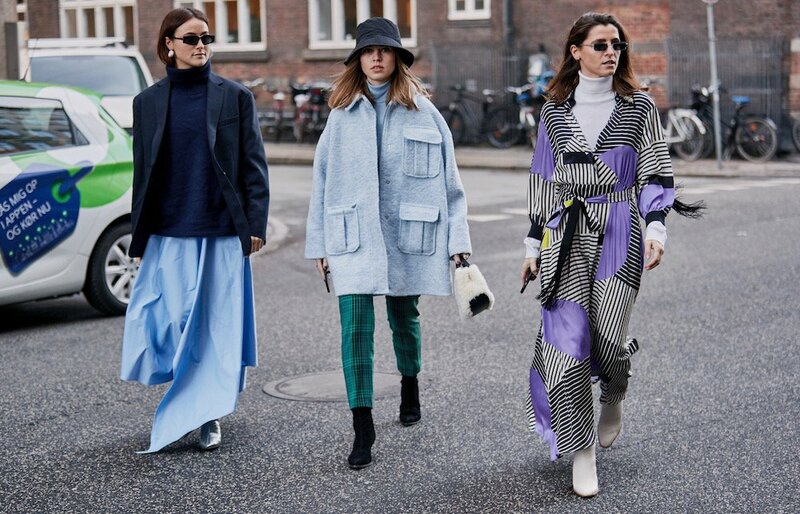 The global rise of brands like Ganni and Stine Goya is proof that there's a significant market for the mix of whimsy, practicality, and imagination that Copenhagen brings to the fore. Let's look at some of the highlights of the week. 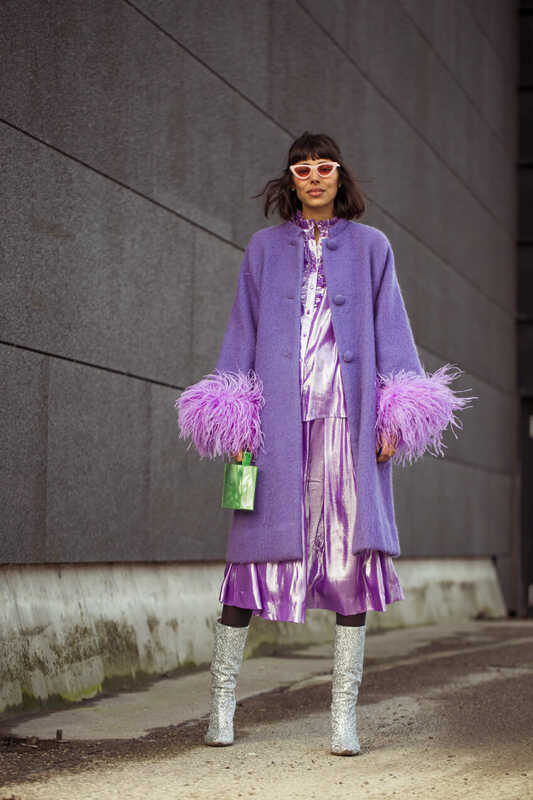 The international influencer crew has been increasingly flocking to Copenhagen for fashion week, but yet, the influencers we find most inspiring are the local set. 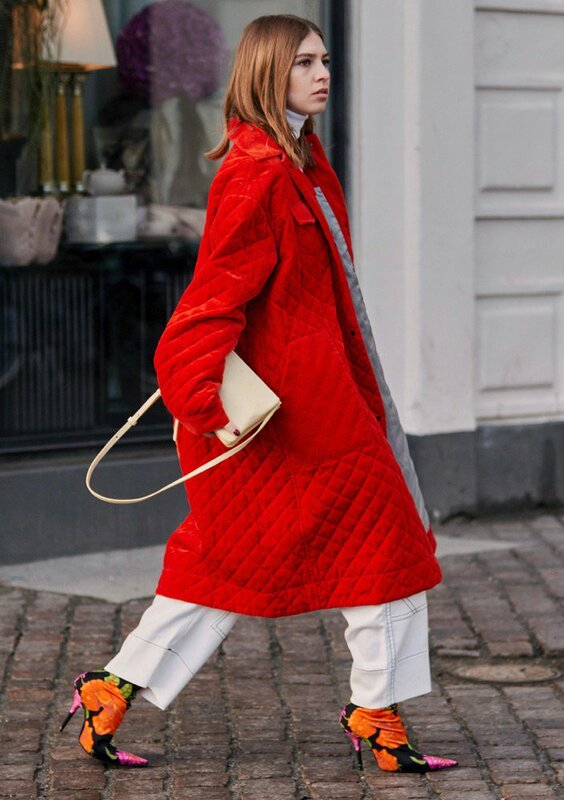 Our favorites include Pernille Teisbaek and Jeanette Madsen (who is the creative director behind up-and-coming brand Rotate). 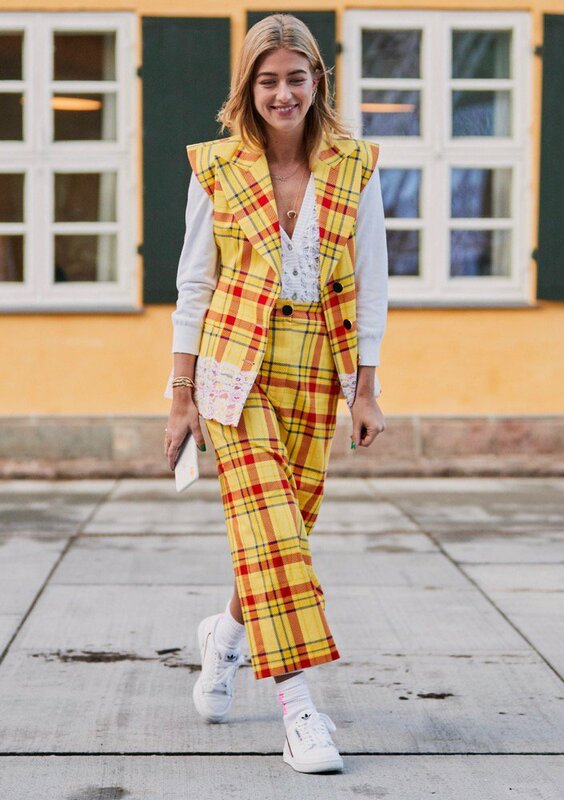 Oh, and even though she's now LA-based, Denmark born Anine Bing (and her namesake label) perfectly summarize what Danish fashion sensibility looks like. What did we see last week in street style? As you might expect, fabulous coats and cold weather gear abounded. 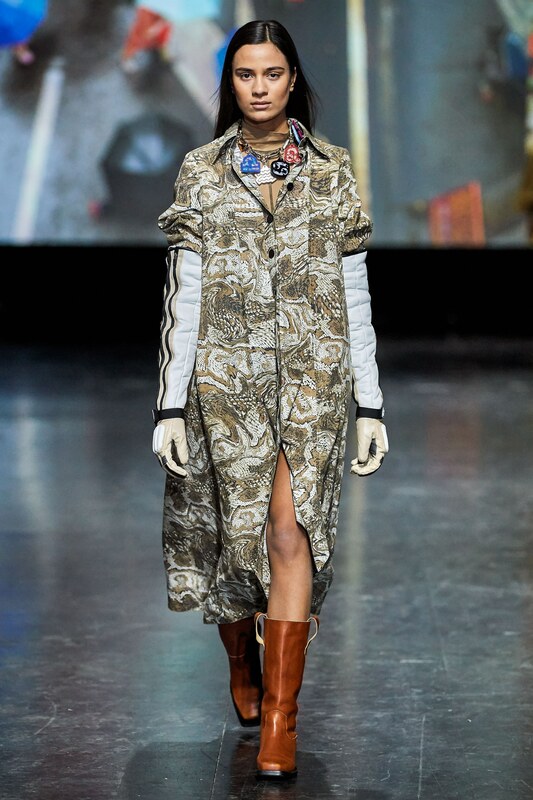 Whether it was statement, oversized coats or floor-length scarves, Copenhagen girls showed us cold is cool. We also noticed a striking color theme: shades of orange, perfect for offsetting those winter blahs. If you thought Copenhagen was all about those neutrals, think again. 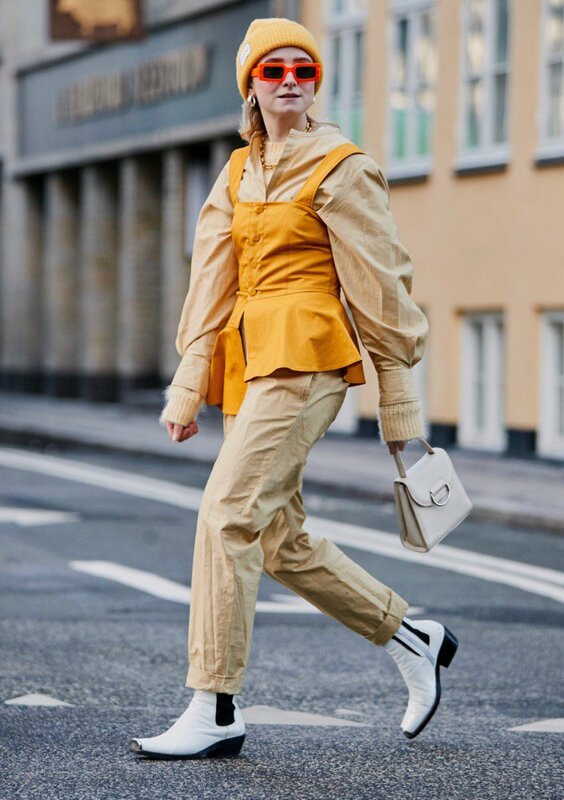 Highlights of CFW include aforementioned favorites Ganni and Stine Goya, and others not to be missed included Baum und Pferdgarten, Rodebjer, and Cecile Bahnsen. Ganni took a more mature approach to their fall collection, as some critics mentioned, "going from Ganni girl to Ganni woman." 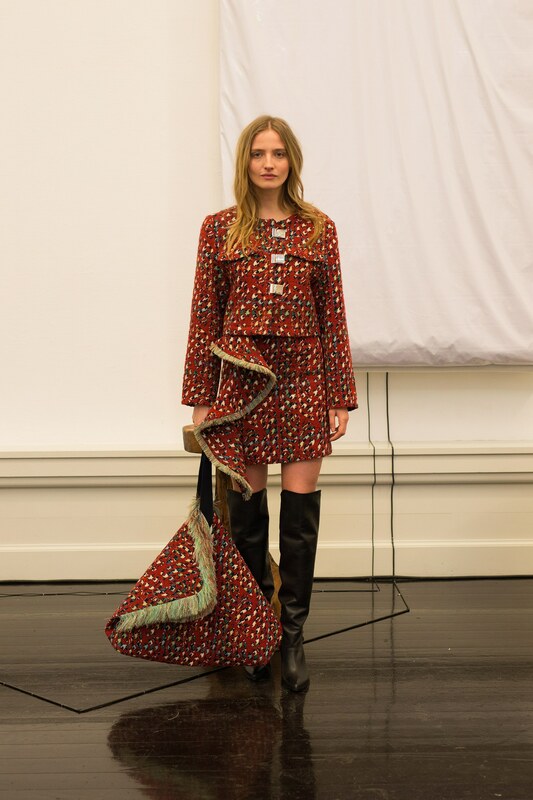 The designers played with contrasting prints, a darker color palette, and more day-to-night layering profiles, all of which still bear the Ganni signature stamp of wearability. 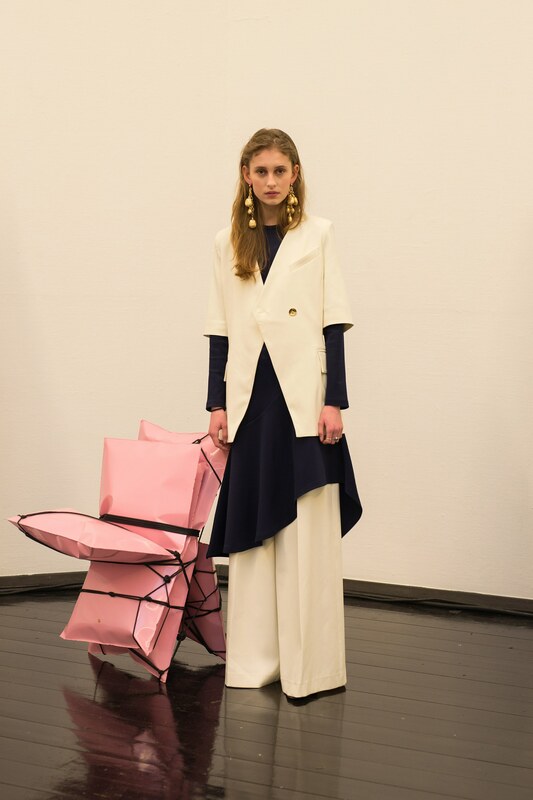 Rodebjer, while based in Stockholm, opted to show in Copenhagen. 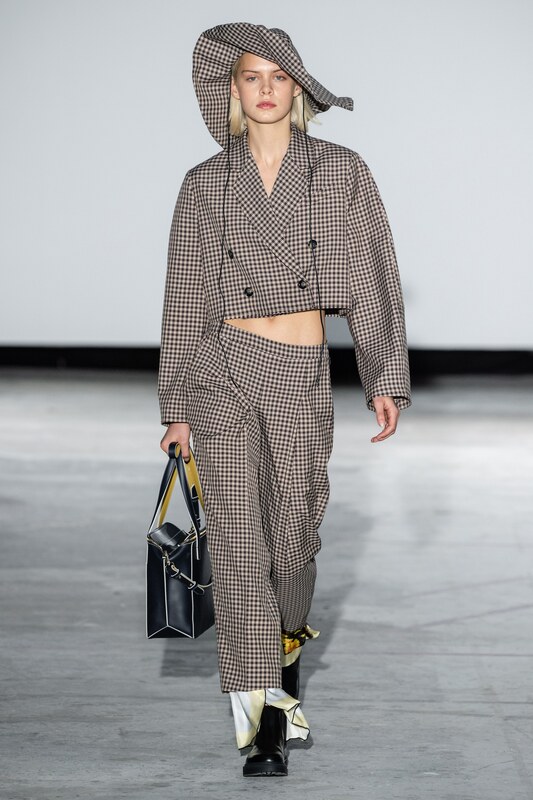 Carine Rodebjer's "spirit animals" were on display, highlighting feminine and tailored profiles and completed with belts and bags cinching the animal theme. The theme of Stine Goya's show centered on dance, and the profiles the designer showcased were all about movement and a sustainable source (more on that later). Our takeaway? Ruffles, sequins, and head-to-toe prints are made to move in. 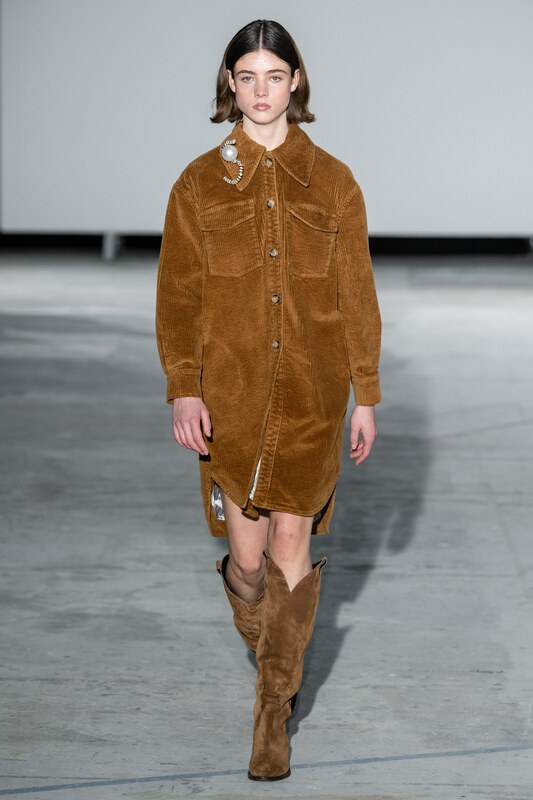 Celebrating their 20th year this season, Baum und Pferdgarten took a casual, almost western-themed approach to their collection. 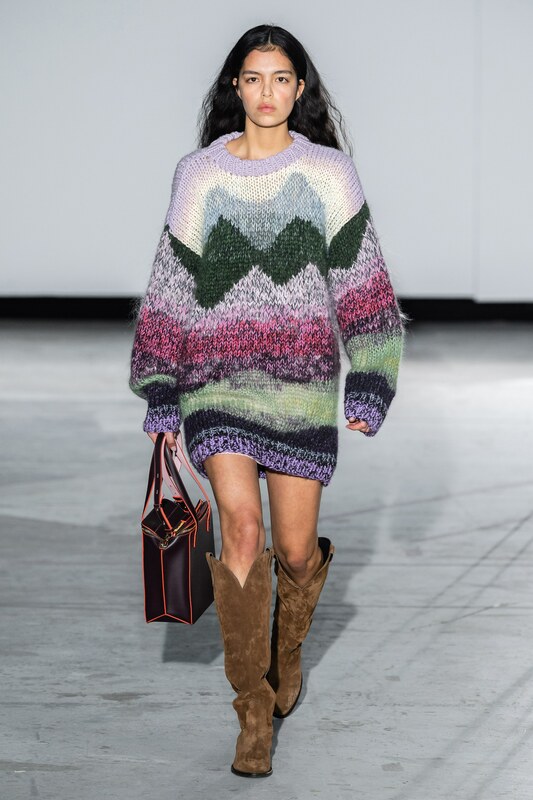 Corduroy, landscape prints, heavy knits, and boxy cuts were the key themes comprising their collection. 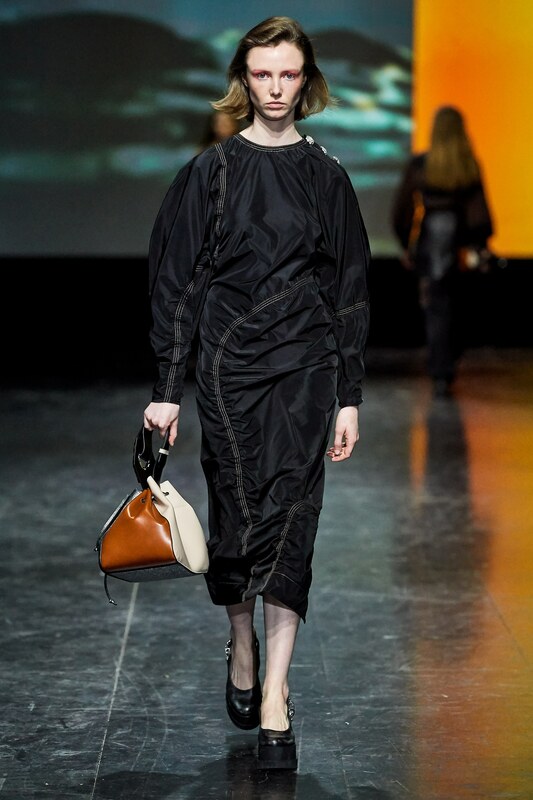 Cecile Bahnsen took the contrasting approach, playing primarily with a black and white color palette, while imbuing all her garments with varying textures and materials. If you're at all familiar with the Danish food scene, made famous by way of Rene Redzepi and his Noma restaurant, you'll know that making the most of local and sustainably sourced product is paramount. 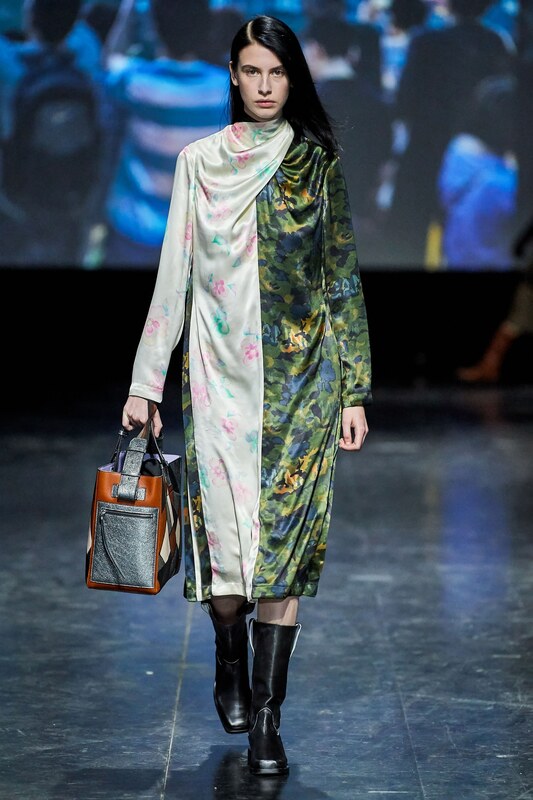 The fashion scene in Copenhagen is very much influenced by a similar theme: an acknowledgement of where things come from and its footprint on the planet. This fashion week brought new sustainability initiatives to the forefront. 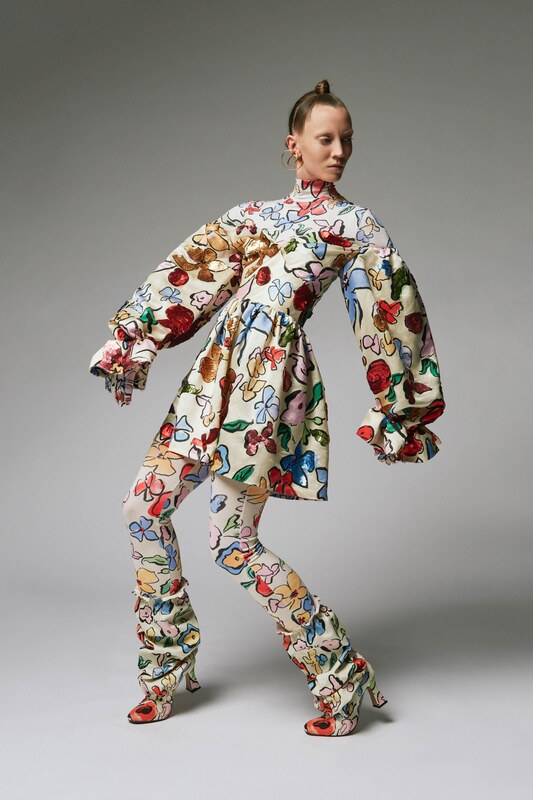 Stine Goya's collection was crafted from "recycled fabrics and embellishments, including hemp, PET sequins, and digitally crafted prints, which do not require water in the application process." 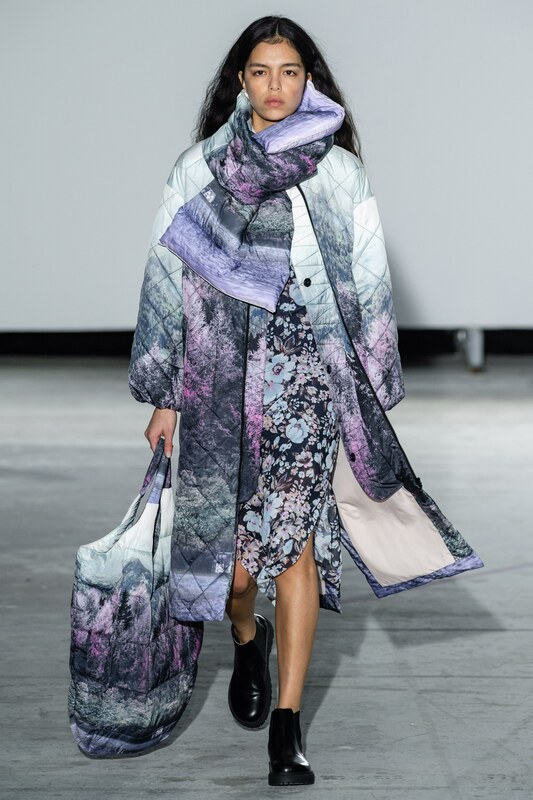 Even though the show itself looked effortless, getting the right materials proved difficult, "You would imagine that, with sustainability being such an important topic globally, these materials would be widely available. But the sourcing is still a challenge." Ganni also pushed the conversation forward regarding sustainability, noting that they have 25 different sustainability projects in play, and they're even sourcing all their hosiery and socks from recycled materials. These two labels are not alone, even the smaller labels are putting sustainability front-and-center in the fashion conversation, and that's yet another reason why we believe Copenhagen fashion has a lot to teach the rest of the fashion world. Stay tuned here for all our fashion week reporting!